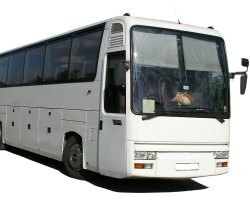 If you own a coach, bus or minibus it is important that you insure it. Coaches need different insurance cover to cars, even if you are only using it for personal use, therefore it is vital to get expert advice. Most coach insurance firms will offer single, multi-vehicle or fleet insurance policies. We can help you to find a great deal to suit your needs. The panel of specialist insurers we work alongside have policies which cover a variety of needs, ensuring you get a policy which suits you. Although most insurers will have individual rates and will tailor-make your policy, a good place to start is by evaluating what kind of cover you require. Things to consider when insuring your coach(es). When starting your search for Coach Insurance it's well worthwhile taking time out to consider all the features you need for your insurance. If you don't, you run the risk of buying cover you don't really need or finding you are not covered for a risk that is required. Amending a policy to include extra cover later normally attracts administration charges. How many drivers do you want to insure for your coach? How many coaches do you need to insure? Some insurers will offer discounted prices for multi-vehicle or fleet policies. How many passengers can fit in your coach? Will you hire your coach out to the public? If so how often? What is your coach worth? Will you require employers and public liability?